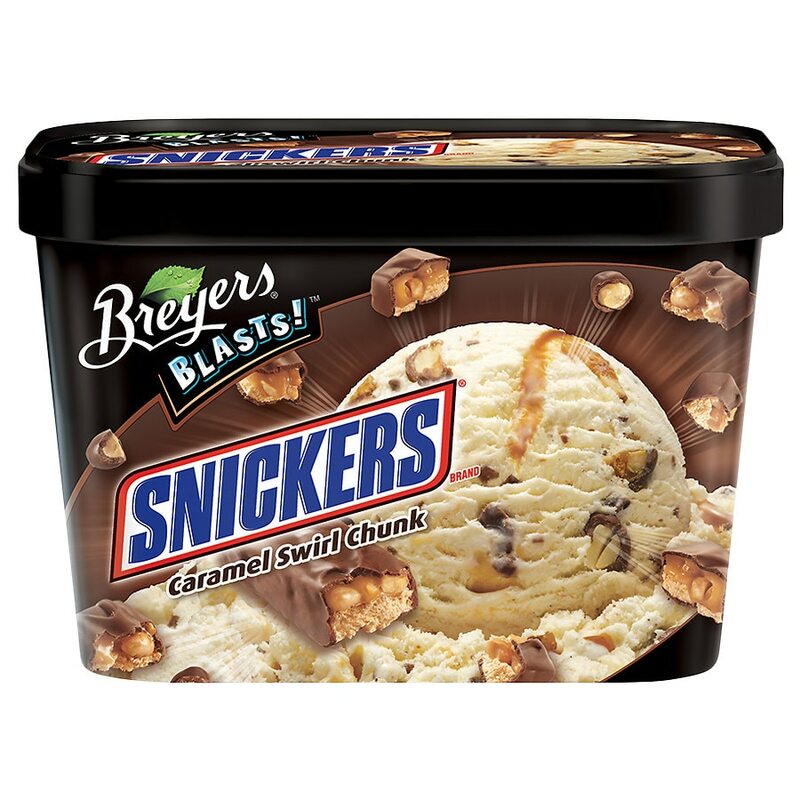 Vanilla flavored ice cream with Snickers pieces, caramel swirl and chocolatey coated peanuts. Artificial flavor added. Explodes with your family's favorite candy.